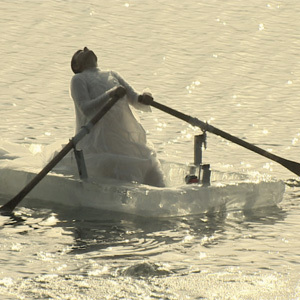 A Trilogy on Absenting: Leaf Fall, Minds to Lose, and Iceboat are all works based on simple single performances. 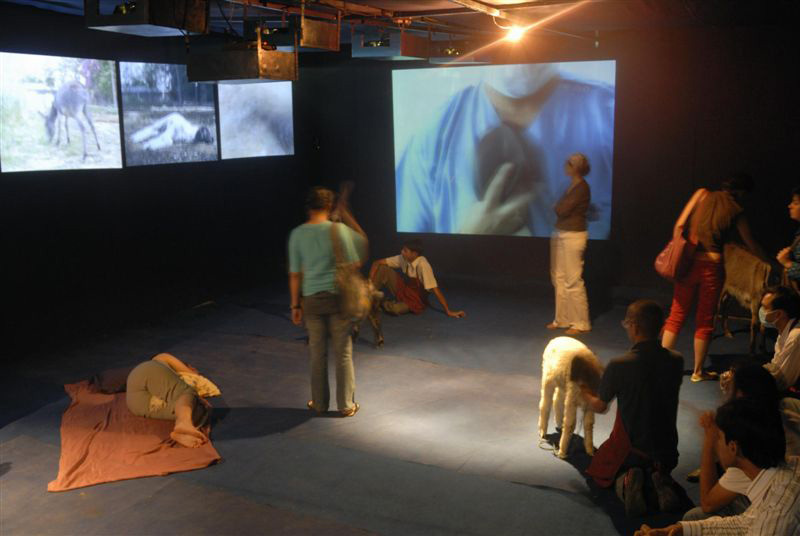 The trilogy went public in 2008 when I anesthetized myself and four farm animals for a performance titled Petting Zoo. The anesthetization of myself and four farm animals, goats, sheep and a donkey was video-recorded to be projected in the final performance space, in which I lay inert and insensible to the world while the animals were free to wander the shed. We were all open to the touch of the onlooker. In Petting Zoo, I wanted to perform absence knowing that the history of performance is about presence and process.